Electroless nickel (EN) is not a new product in most industries. It’s been used for many different applications since its development in the 1950’s. With the introduction of functional, consistent electroless nickel coatings, and with the increased concerns for equipment costs and reliability, this alloy is being considered for numerous uses today. 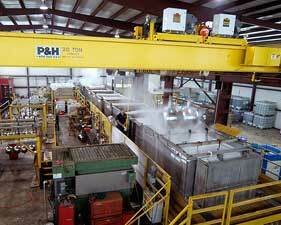 Currently, EN coatings are one of the fastest growing segments of the metal finishing industry. Electroless Nickel Plating, in contrast to conventional plating, does not use electric current to produce a deposit, but rather operates chemically. The electroless process, also called autocatalytic deposition, deposits a uniform coating regardless of the shape or surface of the part, thus overcoming the difficulty of uniformly plating irregularly shaped parts or components. An electroless plating solution produces a deposit wherever it contacts a properly prepared surface and without the need for conforming anodes. The plater has precise control over deposit thickness simply by controlling the immersion time since the chemically reduced bath maintains a uniform deposition rate. Such uniformity and control provide a variety of choices for the design engineer in selecting plated finishes for his products and for perhaps rebuilding a worn surface. 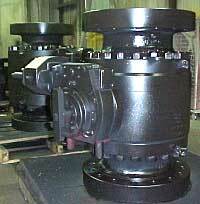 ENP has the ability to nickel plate many base materials. Along with its huge plating line normally used for plating ferrous metals, ENP has another line dedicated to plating aluminum. Substrate material can greatly influence the nickel deposit properties. Excellent adhesion of electroless nickel deposits can be achieved on a wide range of substrates, including steel, aluminum, copper and copper alloys. Typical bond strengths reported for electroless nickel on iron and copper alloys range from 50 to 64 kpsi (345 to 441 M Pa). The bond strength on light metals, such as aluminum, tends to be lower, in the range of 15 to 35 kpsi (103 to 241 M Pa) for most alloys. Heat treatment is commonly employed to improve adhesion of EN on all metals, particularly on light metals such as aluminum or titanium. During this heat treatment diffusion occurs between the atoms of the coating and the substrate. The brightness and reflectivity of electroless nickel depends on the surface finish of the substrate. In other words, electroless nickel reproduces the finish to which it is applied and is not a filler coating such as chrome. ENP has an onsite bead blasting cabinet for smaller parts as well as a sandblasting room for large pieces. to prepare them for plating. For small parts in large quantities that have light corrosion, vibratory finishing may be the answer. ENP has a 25 cu.ft. 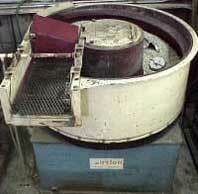 capacity vibratory machine. To isolate specific areas for plating or to protect a previous coating, vinyl “paint” can be applied to mask these areas. This mask coating can be easily removed after the plating process. Previously plated components that cannot be abrasively cleaned due to surface finish or dimensional concerns can be chemically stripped. Through the use of alkaline or acidic stripping methods, chrome, zinc, or nickel can be removed to prepare surfaces for application of electroless nickel. Electroless Nickel Plating of La. has both of these methods at their disposal. Heat treatment is frequently used to improve adhesion or to modify properties in order to satisfy the needs of a particular application. As a result of heat treatment, hardness, corrosion resistance, wear resistance, ductility and stress, fatigue properties, magnetic properties, and other qualities of the deposit can be affected. 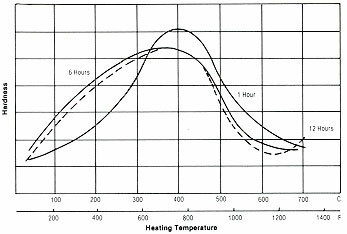 The chart on the right indicates changes of EN hardness as a result of heat treatment which is normally performed at temperatures of 200 degrees to 750 degrees F for 30 minutes to several hours. Maximum hardness is produced by heating to 750 degrees F followed by a slow cooling to 390 degrees F or lower. This hardness can be as high as 65RC. 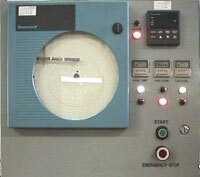 and has a dedicated computerized control and chart recorder. Brush plating is an electroplating process performed with a handheld or portable plating tool instead of a tank solution. This process is also referred to as contactplating, selective plating or swab plating. The procedure, in its simplest form, is similar to a painting operation. The operator first soaks the plating tool in plating solution. Afterwards the plating material is deposited by brushing the plating tool against the base material. The plating solution is then delivered to the work area with a porous, absorbent cover wrapped over the anode of the plating tool. 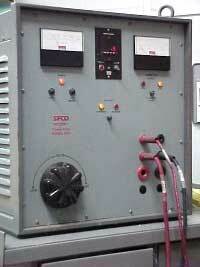 A portable power pack provides a source of direct current for the process. This power pack has two leads: one connected to the plating tool and the other to the part being plated. A direct current circuit is completed when the plating tool, which is always kept in motion, is placed on the part and when electroplating occurs. Operations that prepare the base material for plating are similar to the plating operation itself. Those performed prior to plating ensure an adherent deposit. Electroless Nickel Plating of Louisiana can apply organic coatings to your pieces. The 1,000 sq. ft. “paint booth” utilizes a dry filtered atmosphere in which ENP performs both conventional spray-painting as well as internal lining and phenolic coating of parts. 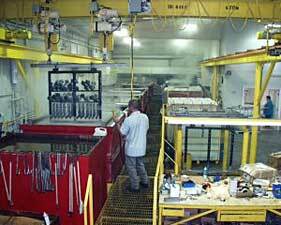 Oven curing of coatings can also be done as a pre-coat or post-coat operation in one of the ENP ovens.